Just a few of the colorful words used to describe the Harley-Davidson LiveWire which has received so much free and fawning press coverage about the prototype electric motorcycle that you’d think they invented electricity. I get it. The motor company builds good products, but does it really deserve wave after wave of gushing prose in every news article? I blogged previously about the announcement HERE. Let’s keep it real. Is LiveWire any better than the other electric motorcycles on the market? 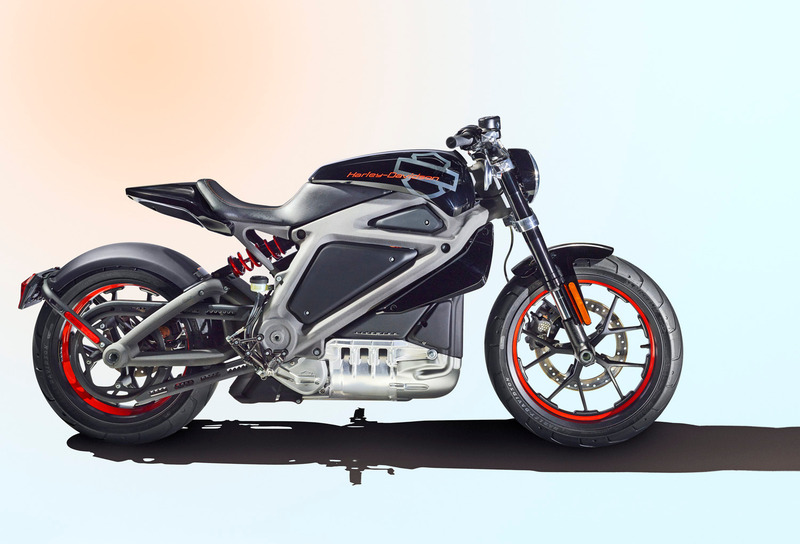 What are the rider advantages of LiveWire vs. other electric rides? Are there drawbacks of an increasing reliance on electricity for transportation? No one is reporting on anything other than regurgitating the marketing talking points. Has the press failed to notice that there are many electric bikes already in use by riders and a growing number of police departments across the country? From New York to Oregon, and around the world, including in Bogota, Colombia and Hong Kong. The police versions of the “Empulse LE” by Brammo, Inc., based in Ashland, Ore., and the “DS” by Zero Motorcycles immediately come to mind. But it gets worse. The Harley-Davidson president, Matt Levatich tells the world during the LiveWire press tour that Harley’s are longer just for old guys… Huh? He must have been basking in a special Milwaukee sun-imitating light that failed to fend off seasonal affective disorder with that alluringly sales quote. As a current core customer, I guess I’m one of the riders only interested in “old-fashioned” motorcycles? Hey Harley, hashtag this… #YoureDoingItWrong. Wow, nothing like slighting the mature motorcycle rider base, the base that has been paying the company bills with a back-handed comment that is clearly all about reaching out to Gen-X’ers and Millennials. There’s a thin line between appealing to Millennials and pandering. Yeah, I get wanting to open new doors to people that are outside of the motorcycle sport and only know the brand for its t-shirts. But, that “old-fashioned” reference is as if Harley has come to terms with an electric future, which excludes their current customers, so let’s spit out aging and old-fashioned insults at them. If Harley-Davidson LiveWire is “only looking at rider feedback at the moment” then why all the publicity? You might recall that prior to Project RUSHMORE rolling out on the touring bikes there wasn’t a peep until it launched. The motor company has by design crafted a publicity stunt and worked at driving social media outreach. It’s a marketing campaign pure and simple. And thanks to Harley, Zero had their biggest single day of Internet traffic in the history of the company on the day Harley made its announcement, according to Scott Harden, VP of global marketing for Zero Motorcycles. Shouldn’t Harley-Davidson be talking to the “right” riders? And H.O.G. grey-beards aren’t exactly the wrong people to be getting input from, but relying on this user base for feedback on this new GenX or “Millennial” motorcycle is unlikely the most salient feedback from the “right” people. Shouldn’t they look for those Portlandia-esque grown men on BMX bikes who are ‘riding’ to weekend pubcrawls and who make their living in a variety of ways — some legally and others by any means within their particular skill set? The fact is that future customers could be from newly wealthy Chinese looking for style, city-dwelling Millennials who need utility and affordability or retirees who want a trike that doesn’t embarrass them. Whether electrics take off is anyone’s guess and your welcome to label me a gas station-centric oldster. hummm thought the same thing!